Next Generation 3D Foot Scan for maximum individuality when determining ski boot and fitting. Uncompromisingly efficient adaptation of the shell to the individual anatomy of the foot – exactly where you need it. Complete fitting of the shell through VACUUM 2ZONE for maximum individuality and optimum fit. PRE-FIT • Insert foot into preheated shell. • Put on Cooling Pad and Compression Pad. • Adjust the stand position on the VACUUM FULL FIT Station. PERFECT FIT AND COOL DOWN • Adjust the entire boot to the anatomy of the foot using compressed air. • Use the Cooling Pad to cool it down. CONTROL THE CURV The CURV boot was developed in close collaboration between Fischer engineers and pro athletes to offer highly skilled and competitive skiers the boot they need for total control and precise, exhilarating curves. The CURV boot is a breakthrough design in fit and performance. Composite Flex Control The thermomoldable composite insert in the shell guarantees maximum control and consistent boot ﬂex in all temperatures and snow conditions so skiers can concentrate fully on the perfect curve. Precision Steering The shell’s ergonomic design positions the foot properly for stability, control, and optimal power transfer. The boot and ski act in unison for seamless power transfer and even the most subtle steering impulses translate directly down to the snow. The cuff’s adjustable rotation around the vertical axis allows individualized ﬁt for excellent curve control and increased performance. Connected Fit The CURV ski boot feels just right when you put it on for the ﬁrst time. The shell and boot liner are perfectly tuned to each other. The three-dimensional pre-shaped boot liner offers ultimate comfort. Connected Fit means 100% control and comfort for on-piste skiers who seek performance and high quality. LISTEN TO YOUR FEET SIMPLY STANDING NATURALLY In keeping with the motto „Listen to your feet“, all our ski boots feature SOMA-TEC. Thanks to the natural V position of the feet, this technology harnesses the power in the boots and protects joints. For more energysaving skiing, perfect power transfer and a natural motion sequence. The natural V-position of the feet is retained inside the boot. Adjustment is simple and easy: only two different positions (position 1 - Alpine/Grip Walk and position 2 Walk Sole/Walk to Ride ski boots) are marked on the binding toe. Alter the marked position by turning with a screwdriver. No further adjustments or ﬁne tuning with a paper strip are necessary. Done! The ideal solution for multiple boot sole types, even for busy on-snow demos or rentals! Elastic transition points between hard and soft zones plus a ﬂexible 3D shape in the ankle area ensure a perfect ﬁt and dynamic skiing performance. High-insulation cushioning material protects and warms the areas of the foot which are sensitive to pressure and the cold for greater comfort and more performance. The anatomic frame which is made of thicker material transfers power to the outer boot and thus enables optimum control. MAXIMUM FIT. MINIMUM WEIGHT. LACE FRAME SYSTEM The new Fischer Travers (TRAnsalp VERSatile) touring ski boot brings together a perfect ﬁt with natural freedom of movement and maximum torsional stiffness in a completely new way. Plus it weighs less than 1 kg. For maximum climbing efﬁciency, downhill performance and enjoyment on your next tour. combined with a roller-operated Boa® Die eingesetzte Aramid-Platte im Closure System enables stepless boot Sohlenbereich sorgt für höchste Torsionsadjustment. Closing forces are distributed steifigkeit. Die Voraussetzung für ein evenly around the entire foot and can be kontrolliertes und perfektes Abfahrtseasily adjusted using one hand. erlebnis. NO-TORSION BASE MAXIMUM PERFORMANCE WHEN SKIING DOWNHILL The Aramid plate used in the sole section ensures maximum torsional stiffness. Ideal for a controlled and perfect downhill experience. FIND YOUR WAY AND FOLLOW IT UNCOMPROMISINGLY Mountains offer endless opportunities for sport, leisure time and enjoyment – at all levels. There are ski tourers whose aim is to go as high as they can and conquer more than one peak in a single day. Then there are those who simply just want to be fast. And then there are newcomers to ski touring, out to enjoy it, freetourers – whose emphasis lies more on the downhill ride. But they all have one thing in common: uphill and downhill. Thanks to our technological knowhow with Air Tec Ti, for example, or the lightest Paulownia wood core constructions, our equipment can fulfil any wish. Completely individually. In the same way that you want to reach your goal! Improved efficiency and less energy consumption due to optimized glide characteristics: Fischer’s exclusive new PROFOIL is the easy-to-use and lightweight solution for backcountry adventurers, randonnée skiers, and winter alpinists. This revolutionary adhesive ski base attachment is powered by Fischer’s Crown Technology, allowing you to lengthen your uphill stride and providing permanent grip in all conditions. PROFOIL is made from a waterproof material that prevents water absorption, thus eliminating weight gain while ascending. With PROFOIL you reach the summit faster and with less effort, thus conserving energy. CROWN GLIDE You glide much faster and benefit from a much better lift-to-drag ratio due to the super low friction coefficient of the PROFOIL base material. BIGGER STRIDE As you glide further your stride is lengthened by up to 20%. With PROFOIL you reach the summit in greater comfort and with considerably less effort. CROWN GRIP No matter whether it is cold or warm, wet or dry: PROFOIL crowns provide maximum grip for ascents in all types of snow conditions. WATER PROOF PROFOIL doesn´t absorb water, so it stays dry in all conditions and remains lightweight. Find complete Fischer Easy Care & Wax collection in the Nordic part, page 48. THE ORIGINAL FROM THE WORLD CUP. It‘s about hundredths of a second. And it‘s about technique – in terms of both athlete and equipment. With the Fischer World Cup package we support the best racers in the world, where subtle nuances make a difference in the battle for podium finishes. Even the tiniest of details can have a major impact – nothing can be left to chance. With the CURV BOOSTER plate Fischer revolutionises power transfer in the turn. This special construction was developed together with athletes from the World Cup and enables unrivalled power transfer. THE PERFECT CURV – PLAYING WITH THE FORCES AT THE LIMIT The speed becomes faster with every turn, a dynamic performance develops – takes hold of you! The centrifugal force increases and you feel like a pro. This extreme performance is particularly close to the professional equipment from the World Cup. It is in particular the special sidecut concept which makes the ski controllable and enables individual turns at high speed. High technology through and through thanks to Triple Radius, the Curv Booster plate or the carbon laminate DIAGOTEX™ which is known from racing, THE CURV enables perfect stiffness, fast turn changes without speed loss and optimum power transfer. So every turn is a breathtaking adrenaline rush! WHEN ONLY PERFORMANCE COUNTS The speed becomes faster with every turn, a dynamic performance develops – takes hold of you! The centrifugal force increases and you feel like a pro. This extreme performance is particularly close to the professional equipment from the World Cup. It is in particular the special sidecut concept which makes the ski controllable and enables individual turns at high speed. High technology through and through thanks to Triple Radius, the Curv Booster plate or the carbon laminate DIAGOTEX™ which is known from racing, THE CURV enables perfect stiffness, fast turn changes without speed loss and optimum power transfer. So every turn is a breathtaking adrenaline rush! THE BRILLIANT SELECTION REFINED PERFECTION. Our ski experts have chosen the five best ski models from the entire Fischer range for our exclusive Brilliant Selection. Only very special skis make it into this selection and are refined into true masterpieces. The use of top technologies and materials such as carbon and Aramid along with meticulous craftsmanship makes the Brilliant Selection stand out. The Fischer Brilliant Selection is special in every respect. As with gemstones, it is the precise finishing with an expert hand using high-quality materials which produces a genuine masterpiece. PERSONALIZED FOR YOU. Every Fischer Brilliant Selection model is unique. The individualization and personalization are what give it a unique personal touch. You (as a dealer) can redeem several codes at https://fischersports.com/brilliant-selection-biz to receive your personalised badge. TOP-CLASS FROM MASTERS OF THE CRAFT Brilliant – a collection, elegant and many-sided, with absolute sharpness and precision. In a word: unique – thanks to master craftsmanship. The top-class individual selection and finish of the five best premium ski models in the Fischer range has been carried out with a lot of energy and know-how from our specialists. The skis have been refined with aramid and carbon, a combination of two very special materials. The design has been enhanced with striking and puristic highlights. And last but not least, the Brilliant Selection also stands out through uniquely personalised and individual features such as your own name or even a photo which is put on the ski using a special application technique. CUSTOMER BENEFITS • Personalisation possible • Particularly lightWeight • Sporty but light ski feeling in all conditions. LIGHTEST WEIGHT, BEST PERFORMANCE They are built light – and are the lightest of their kind, in fact. And they are packed full with the best technologies the slopes demand of us. The skis in the Progressor line give their skier limitless performance and weight reduction. Top technologies such as Razorshape and Air Tec Ti make it possible. Hand in hand with the light weight, performance also stays unsurpassed. Thanks to its special geometry, the Dual Radius System. This gives you the desired kick in Slalom and Giant Slalom turns! With race ski construction and On-piste Rocker. BEST EQUIPPED WITH AN ALL-ROUNDER All Mountain – it means the freedom to do everything you feel like doing. So the challenge is big: stable skis with a performance factor on the piste, incredible cruising behaviour in relaxed mode and satisfying wishes on deep snow adventures. The Pro MTN products from Fischer unite all these factors thanks to unique technologies which make our skis light – but stable. Manoeuvrable – but with awesome performance! And one thing in particular: suitable for all terrain. Thanks to the remarkable Air Tec Ti, Razorshape, Carbon Nose and Free Milled Titanium – made by Fischer. AAATTACK2 AT The AAAttack² 16/13/11 AT and the AAAttack² 13/11 AT DEMO models can be adjusted to Alpine and GripWalk boots, but also to Touring ski boots (ISO 9523) including Walk Sole and Walk To Ride ski boots. With these bindings, boot-binding compatibility issues during demos or rentals are relegated to the past. Variety abounds in the mountains. From snow conditions to terrain options, skiing is a dynamic, constantly changing landscape. Fischer’s new All Mountain collection allows you to explore the entire mountain with confidence, regardless of what gets thrown your way. Advanced technology and quality construction provide the perfect equipment for all-day, limitless skiing. THE LIGHTEST SKI IN THE SEGMENT A pair of 175cm Fischer Pro Mountain 86’s weighs in at a mere 3.5 kg (7.7 lbs), making them the lightest full-length titanium ski in the All Mountain segment. The Air Tec wood core is milled in an offset pattern to reduce ski weight while maintaining flex. This is combined with a 12 K carbon fiber insert in the tip and tail to increase torsional stiffness while maintaining the ski’s thin profile. SKI PERFORMANCE IN ALL CONDITIONS When conditions get tough, Pro Mountain skis are cool, calm, and collected. All Mountain ROCKER in the tip and tail allows forgiveness in chunder and maneuverability in tight terrain. Additionally, wood core constructions and torsion-resisting technologies inspire confidence at higher speeds. Pro Mountain skis offer dynamic performance in any conditions. EXCELLENT TURN DYNAMICS Full-length Titanal sheets and Fischer’s three dimensional Razorshape surface profile provide clean, crisp, carving performance. Additionally, a progressive turning radius ensures the perfect turn shape relative to the skis’ length. CUSTOMER BENEFITS • Light Weight • Great fun to ski • High stability both on- and off-piste. Your style is unique. Your time in the mountains is precious. Fischer’s newly-developed MY series celebrates individuality and provides the perfect ski to make the most of your time on snow. This women’s-specific collection is comprised of three categories: MY Turn, designed for frontside, onpiste performance; MY Mountain, the ideal choice for diverse, all-mountain skiing; MY Ranger, for the adventurous soul seeking a strong but lightweight setup. No matter what your style, the Fischer MY series offers a ski perfectly suited to your distinctive tastes, wherever the trail may take you. 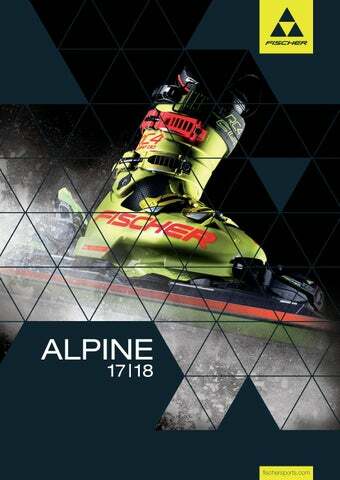 PISTE MY Turn Collection The groomed terrain is your catwalk and you know how to work it. You love smooth, stylish turns in good company and enjoy ending the day with a well-earned après session. And whether they are in the rack or on your feet, your new MY Turn skis are sure to turn heads. ALL MOUNTAIN MY Mountain Collection You want a ski that blends function and fashion like a favorite pair of jeans. Versatile yet stylish, the My Mountain collection consists of skis developed to handle anything the mountain throws your way. Whether you spend your day on groomed terrain or venture off trail, you deserve a ski as confident as you. FREERIDE MY Ranger Collection Staying in your lane is merely a suggestion, especially when you are in the mountains. The MY Ranger series from Fischer encourages you to seek adventure off the groomers. With their lightweight and stable construction, there is no limit to where these skis can take you. READY FOR ALL THE FUN OF THE SNOW Every skier is different: some like it relaxed, others want it wild and then there are those who want it all. 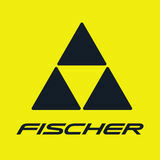 Fischer has developed the MY series for these different requirements so that each lady has the right skis: MY Turn for the slopes, MY Mountain for all mountain and MY Ranger for freeride. MY Turn is particularly easy-going and is easy to handle. MY Mountain offers strong performance to cater for a wide variety of snow situations while remaining lightweight and stable at all times. MY Ranger, on the other hand, stands out through best stability and the ability to perform incredibly easy powder turns. In short: the three types of ski are ready for all the fun of the snow – from the piste and all mountain to freeride. The groomed terrain is your catwalk and you know how to work it. You love smooth, stylish turns in good company and enjoy ending the day with a well-earned après session. And whether they are in the rack or on your feet, your new MY Turn skis are sure to turn heads. ALL MOUNTAIN SPECIALIST You want a ski that blends function and fashion like a favorite pair of jeans. Versatile yet stylish, the My Mountain collection consists of skis developed to handle anything the mountain throws your way. Whether you spend your day on groomed terrain or venture off trail, you deserve a ski as confident as you. Staying in your lane is merely a suggestion, especially when you are in the mountains. The MY Ranger series from Fischer encourages you to seek adventure off the groomers. With their lightweight and stable construction, there is no limit to where these skis can take you. The AAAttack² 16/13/11 AT and the AAAttack² 13/11 AT DEMO models can be adjusted to Alpine and GripWalk boots, but also to Touring ski boots (ISO 9523) including Walk Sole and Walk To Ride ski boots. With these bindings, boot-binding compatibility issues during demos or rentals are relegated to the past. YOUR TERRITORY, YOUR RULES: THE NEW RANGER 108 Individuals who seek adventure need a ski that knows no limitations. Fischer‘s award-winning Ranger series is the ideal vehicle for serious alpine endeavors. Cutting edge technologies such as Aeroshape, Air Tec Ti, Sandwich Sidewall Construction, and a lightweight Carbon Tip work in perfect harmony to create one of the most dynamic and reactive skis on the market today. LIGHTWEIGHT PLAYER IN THE FREERIDE SEGMENT Weight reduction is a key component to Ranger‘s prowess. AIR TEC Ti wood core, AEROSHAPE construction, and its unique Carbon Fiber Tip all contribute to the buoyant and agile feel of all Ranger models. EXTREMELY STABLE IN EVERY SITUATION A beech/poplar wood core with Sandwich Sidewall Construction and titanium inserts provides maximum edge stability for all Ranger models. EASY GOING TURNS The perfect ratio of rocker to camber plus a modern tapered shape allow for smooth, effortless turns and a playful, “surfy” feel. Stable and responsive where you need them to be, yet maneuverable and agile in tight situations. FROM THE BEGINNING: THE BEST COMPANION ON THE WAY TO THE TOP If you want to be a champion you have to start early. Even world champion, perhaps? Who knows what potential lies in such young legs. Supporting this is a big task – Fischer considers itself to be in a position of responsibility and offers the best possible equipment for the requirements of young heroes. With the original World Cup Racing plate, Sandwich Construction and Titanal shell the skis are specially tuned to the specific challenges facing young racers who find the enormous stability and full reliability convincing – whether they are taking their first steps in the snow or carving their way from victory to victory! RC4 Worldcup GS jr. RC4 Podium 90 RC4 GS Jr.
RC4 RACE JR. / RANGER KID / KOA JR.
VARIO TI Article no. Z33315 Lengths 105-140 adj. FREERIDE BACKSIDE VARIO Article no. Z34015 Lengths 100-145 adj. Clearly visible field on the outside of the boot on the Velcro for the following information: • Color Size Concept: the intelligent Color Size Concept makes the rental process easier and faster. The Color-coded field and letter code in the Rental Info Field guarantee that the required ski boot size perfectly matches the rental binding. This means that the optimum setting for the binding can be adjusted in no time. • Barcode field • Sole length + boot size This information makes handling much simpler and speeds up the rental process. SANDWICH CONSTRUCTION Ski core with less density. The reduced ski weight means easier handling and less energetic skiing. Laminated construction with a wooden core and sidewalls to support the edges for highest stability, strength and durability. PAULOWNIA WOODCORE Ultralight wood used in ski making. Used specially for touring skis - either with cap or sandwich design. Special network of carbon fibres with exceptional torsion properties and a balanced stiffness pattern at the same time. Air Tec + Titanal give you optimum performance and minimum weight. CARBON NOSE TIP AND TAIL Ultra slim shovel with carbon inlay improves maneuverability at high stability. Diagotex™, which is processed together with Aramid, reduces the vibrations of the ski. Skiing is smoother as a result and it harmonises the turn pattern. As a result, the best possible control can be achieved through perfect control characteristics. Levelled sidewalls give the ski its special, razorsharp shape. First and foremost, of course, this saves weight. On the other hand, however, this new, distinctive ski shape offers sporty on-piste skiers additional speed and action as it has a smaller contact surface in the snow. On the one hand, the milled structure makes the core 25 % lighter and, on the other hand maintains the outstanding ski performance. Special glass fibre network with harmonious bending properties. The ski stands out through excellent turning action. Unidirectional latest generation carbon shell. With its fibre configuration in the direction of motion it becomes more dynamic and increases skiing enjoyment while staying stable. Also makes for additional weight reduction. TRIPLE RADIUS Innovative carbon grid for top torsional stability. For maximum power and stability in turns. RACETRACK New, two-part system solution with minimum weight. For perfect power transfer. Optimised flex with free flex action, best possible piste contact, direct power transfer and straight boot position. ALLRIDE Latest Powerrail version for enhanced power transfer. Special features: tool-free adjustment possible, suitable for rental. SLR2 WOMEN New, two-part system solution with minimum weight. For perfect power transfer. BASE AND EDGE WORLD CUP TUNING Edges and base are given an extremely precise World Cup level finish on the most modern grinding line in the world. WORLD CUP BASE Original World Cup base with inserts to protect the ski from burning out through heat build-up. AFS Virtually frictionless release of the ski boot from the binding guarantees the highest possible level of safety. High-insulation cushioning material protects and warms the areas of the foot which are sensitive to pressure and the cold. 100% SEAMLESS TONGUE 100% Seamless Tongue. Practically no friction anymore, perfect fit. Pivot point fixed liner cuff allows rotation nearly without friction and for more durability of the liner. 6% wider shape of the toebox area. Rounder Shape in the Toearea. For Better instand fit, better blood circulation and comfort! SHELL GRIP WALK SOLE The rockered GripWalk Sole brings together performance in the binding with natural walking and more safety next to the slope. HIKE: maximum freedom of motion for the cuff so you can walk easily. RIDE: the cuff is blocked at the back, the flex at the front stays smooth – for perfect turns in powder. LOCK: the cuff is blocked for maximum performance on the piste. Hard components ensure optimum power transfer and torsional stiffness. Soft components enable easy entry and exit. LACE FRAME SYSTEM The cuff is fixed to the lower shell for the strongest and best possible power transfer. COMPOSITE FLEX CONTROL A development from the World Cup: Aramid used in the production process reinforces the shell in points, thus guaranteeing constant flex in all temperatures. Perfect fitting at 80C for the anatomy of the foot for direct control impulses and more rebound through greater elasticity. Greater temperature stability and 15% less weight. Adjustable in a single movement of the hand – binding setting according to XTR Colour Size Concept. Practical when renting out skis. Easily adjustable toothplates for broad calves. Size and sole length on the loop - tampo print on the cuff / spoiler. ANTI CHIPPING Fibreglass material that protects the ski core like a shell. The result is a ski that is technically as new even after frequent use. Reinforced edges and thicker base enable the ski to be used longer even if it has to endure frequent grinding. Performance plate with full Rental features including Colour Code for fast adjustment and barcode field. Improved bonding of the top foil and laminate through a special rubber insert absorbs the forces exerted on the surface when skis are crossed. For a significant reduction of foil chipping. Elastic transition points between hard and soft zones plus a flexible 3D shape in the ankle area ensure a perfect fit while the body is in action when skiing. The anatomic frame transfers the impulses directly to the shell and thus enables optimum control. All rental boots have Sanitized inner lining. Prevents unpleasant odours, bacteria and mould from forming. Sidewall Construction, Air Carbon, RACE PLATE JR.
RC4 WORLDCUP GS JR. RP. JR/CURV BOOSTER n.a. RC4 SPEED JR. SLR 2 JR./RP JR. The AAAttack² 16/13/11 AT and theAAAttack² 13/11 AT DEMO models can be adjusted to Alpine and GripWalk boots, but also to Touring ski boots (ISO 9523)including Walk Sole and Walk To Ride ski boots. With these bindings, boot-binding compatibility issues during demos or rentals are relegated to the past. MBS Within the 17I18 PowerRail line, Fischer introduces 2 new models with a unique feature for the general performance segment: MBS – Multi Boot Standard. These models are suitable for Alpine (ISO 5355), GripWalk, Walk Sole and Walk To Ride ski boots. Only two different positions are offered for easiest adjustment, making these bindings the ideal partner for on-snow demos or rentals! Adjustment is simple and easy: only two different positions (position 1 - Alpine/Grip Walk and position 2 - Walk Sole/Walk to Ride ski boots) are marked on the binding toe. Alter the marked position by turning with a screwdriver. No further adjustments or fine tuning with a paper strip are necessary. Done! MBS – the only mass-market feature with easy adjustment to different boot sole heights, from Alpine and GripWalk to Walk Sole and Walk to Ride ski boots. This feature makes these bindings the ideal partner for on-snow demos or rentals! BETTER WALKING GRIP High-proﬁled slip-resistant sole. WALKING COMFORT Increased walking comfort and improved natural roll thanks to curved rubber sole. NO HEIGHT ADJUSTMENT NEEDED Kompatibel mit allen „GripWalk“ Bindungen. Article no. U81514, XS-L Development from racing for the VACUUM thermoforming of RC4 Pro and RC4 140. Athlete Fit liners are intended for the thermoforming process and are NOT SUITABLE for skiing. The shell is pressed even tighter to the anatomy of the foot. The result is an even more precise, better fit and more performance. VACUUM TOE CAPS EXTENDED Article no. U80114 Extended toe caps recommended for the VACUUM shaping process to create adequate space in the toe section. Another advantage is that that the heel is pushed back better into place. Farben im Katalog können vom Original abweichen. Zwischenzeitliche Änderungen, Irrtümer, Druckfehler und Änderungen der technischen Spezifikationen behalten wir uns vor. © Dezember 2017. Colours in the catalogue can differ from the original. We reserve the right to make changes to the technical specifications and do not accept responsibility for any mistakes or printing errors. © December 2017.